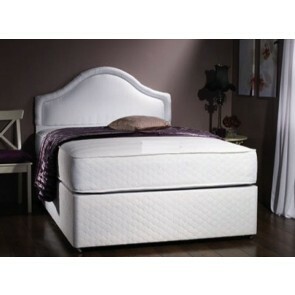 For those looking for an extensive range of 4ft 6 Divan Beds then you have come to the right place. 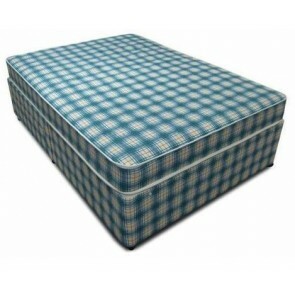 Here at Divan Beds Centre we have all types of divan bed for sale and with different mattresses available as well as bases there is no doubt we have something for everyone. All of our double divan beds come with extra storage and there are multiple options to choose from. At Divan Beds Centre we pride ourselves on our flexibility of designs and that means we can make sure you buy the most suitable bed for your needs. Our bases are available with both a solid base or a sprung edge base and there are a choice of storage options too. 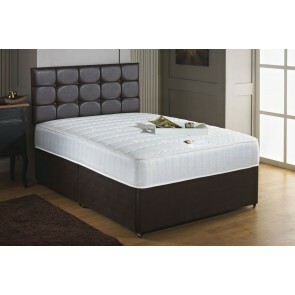 There are several types of mattress to choose from that include the most luxurious models to more budget designs. Whatever divan bed you choose you can be guaranteed to receive excellent value for money that our company Divan Beds Centre has come to be known for. Is your bedroom large and spacious with plenty of space to walk around either side of the bed? Then why not choose a divan bed with jumbo sized drawers that open outwards? Alternatively, you might have a bedroom with limited space and not much room for drawers such as these. This is not a problem either - you can simply choose a divan bed with standard sized drawers with sliding doors. That way the minimum amount of space is required but you still get all the benefits of additional storage in the bedroom. The drawers are extremely sturdy too and are fitted with easy glide castors so they open and close with ease. You can store lighter items such as clothes and shoes in the drawers or even heavier items such as books. With outward opening drawers you can pull the drawer right out into the room which makes viewing the contents and locating what you are looking for a simple task! 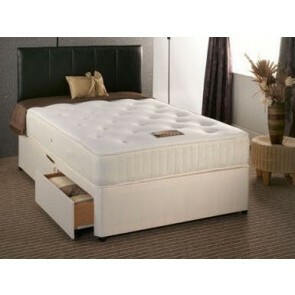 You can choose to have your double divan bed fitted with a solid base if you enjoy a slightly firmer feel to your bed. There are also softer sprung edge bases available that provide a more luxurious feel and furthermore ensure your mattress is protected and will function effectively for longer. If you thought that you might not have the budget a divan bed then think again. 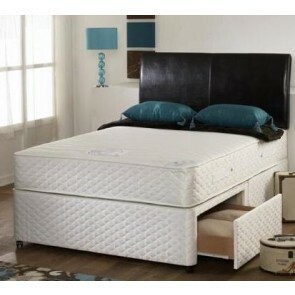 Here at Divan Beds Centre we have beds available to suit all budgets. Why not browse the site to see the double divan beds and other products we have available, or you can contact a member of the team to discuss your requirements further. 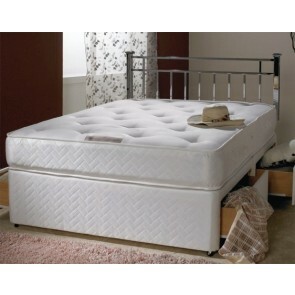 4\'6" Double Divan Beds (135x190cm,54x75in) are available with following mattress types. 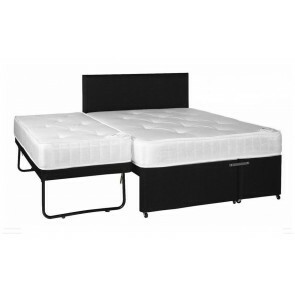 Double divans are available with a choice of either sprung bed base or platform top bed base.There are many storage options available to chose from.